Vietnamese ruling party’s leader Nguyen Phu Trong is likely to be under pressure during his visit to China over an agreement on supply of India's Akash medium-range mobile surface-to-air missiles between New Delhi and Hanoi, according to media reports. MOSCOW (Sputnik) — China is likely to exert pressure on Vietnamese ruling party’s leader Nguyen Phu Trong in order to undermine an agreement on supply of India's Akash medium-range mobile surface-to-air missiles between New Delhi and Hanoi, Indian media reported Wednesday. On Thursday, Nguyen is expected to arrive in China to discuss regional security. Ahead of the visit, Chinese media affiliated with the country's authorities reported that India's attempts to enhance military ties with Vietnam could undermine stability in the region. 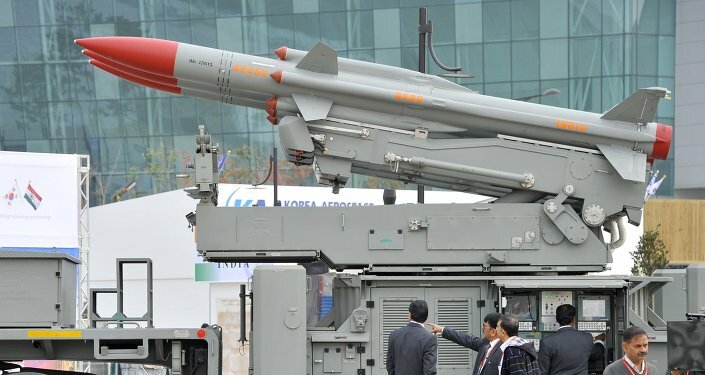 The Times of India newspaper reported that during the visit the Vietnamese official would be under pressure in the issues of potential purchase of Indian military equipment, including the Akash missiles. India and Vietnam have been stepping up military cooperation recently. In September, Indian Prime Minister Narendra Modi came to Vietnam for a two-day visit, during which New Delhi agreed to provide Hanoi with a credit line worth $500 million allocated for the country's defense needs. The Akash missile, which is almost entirely Indian-made and developed, has been in production since 2009. Akash is capable of striking aerial targets at altitudes of up to 18,000 meters (11.1 miles) and at distances up to 18 miles away. It can destroy both aircraft and other missiles.